Digital health is on the rise and ever increasing startups are working on innovative products designed to change the face of healthcare as we know it. Health tech, today, is aimed at reducing costs, increasing revenues and to cut red tapism in the sector for consumers, healthcare practitioners, and other service providers. On this Doctor’s Day, let’s see how some of the startups in the health domain are making big differences in the lives of not just patients but also the doctor by making their tasks easier and efforts more successful. GAIN Fitness is the web and mobile startup company that aims to revolutionize the way people work out and integrate fitness into their daily lives. The app lets you quickly create custom, pro-quality workouts to do at home or the gym. It not only instructs you on how to perform each exercise and how many sets and reps to do for each but also quantifies your performance using an inbuilt tracking and analytics system. The app works seamlessly with your phone’s music player and has audio coaching that will fade in and out with music to allow for optional instruction. The company was founded in 2009 and is headquartered in San Francisco. If GAIN looks into the general day to day fitness, OneDrop is a startup that is using technology to fight diabetes. OneDrop, a Waze for diabetes, pulls together all the data in an app and gives users all the information they need, in one place: tracking glucose levels, meals consumed, exercise & activity information, and much more. OneDrop also connects users, letting them share their data and support each other’s endeavors. The application that has users in 198 countries and over 800 cities was selected to be one of six launch partners for Apple’s recently announced CareKit, a new software framework designed to empower people by giving them better access and control of their own health information. OvaScience is a global fertility company dedicated to improving fertility treatment options for women around the world. This start-up, which was co-founded by several Ph.Ds from the Boston-based healthcare VC fund Longwood Fund and Harvard Medical School was launched in 2011 and is using patented technology to increase the success rate of in vitro fertilization by improving the quality of eggs with the help of a woman’s own cellular energy. In the U.S. infertility affects more than 7.3 million women or one in eight couples of childbearing age. Just today, the company announced that announced that Harald F. Stock, Ph.D., has officially assumed the role of President and Chief Executive Officer, completing a planned leadership transition from Chief Executive Officer-Elect. Dr. Stock succeeds OvaScience Co-founder Michelle Dipp, M.D., Ph.D., who will now serve as Executive Chair of the Board of Directors. eKincare is among India’s fastest growing healthcare technology start-ups that enable users to monitor their critical medical information and view it anywhere anytime. The company uses technology that gathers medical results from various healthcare providers, updates profiles, and provides a single repository for users to store all their healthcare episodes. It then identifies potential health risks from the data, provides a personalized health plan to beat those risks. 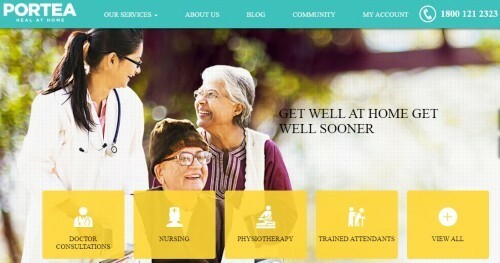 Founded by Manjusha Anumolu, Ganesh Krishnan & Meena Ganesh, the company provides doctors, nurses, and physiotherapists for home visits who have passed rigorous hiring standards and have had their backgrounds and medical knowledge verified by senior doctors. They also facilitate lab tests at home and medical equipment rentals, making health care more accessible for our patients.